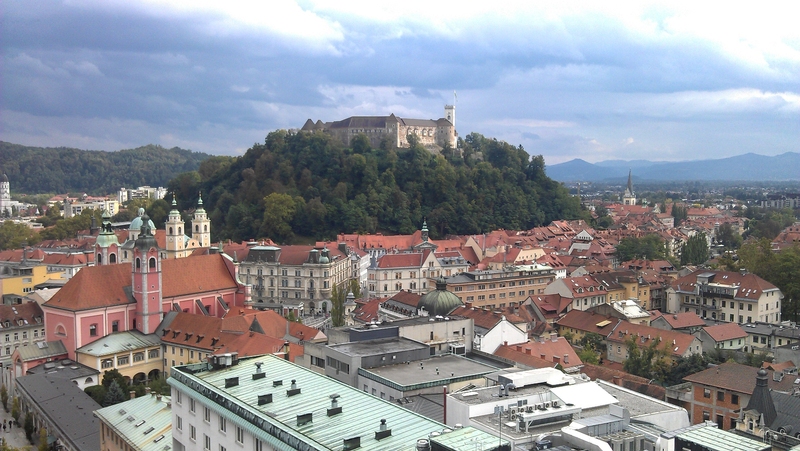 Visiting Ljubljana Castle is worth for the view alone. You can enter the castle without paying and on the right side, next to the information centre, there are stairs leading to the wall of the castle wall, where you can get a free view of the city. 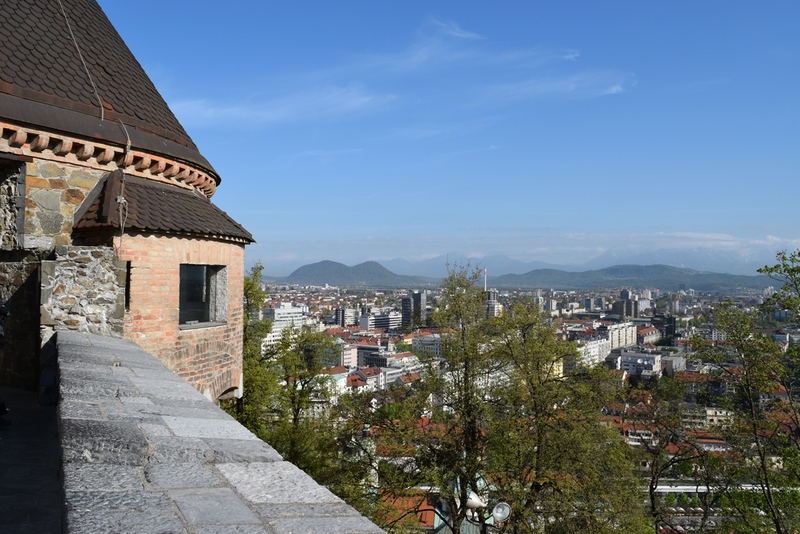 Another option you might want to consider is the tower, which offers 360 degree view of Ljubljana for a small fee. The castle can be accessed by funicular railway from Krek Square (click here for opening hours and prices) or walking paths (more info). If your fitness allows you, go for the second one. 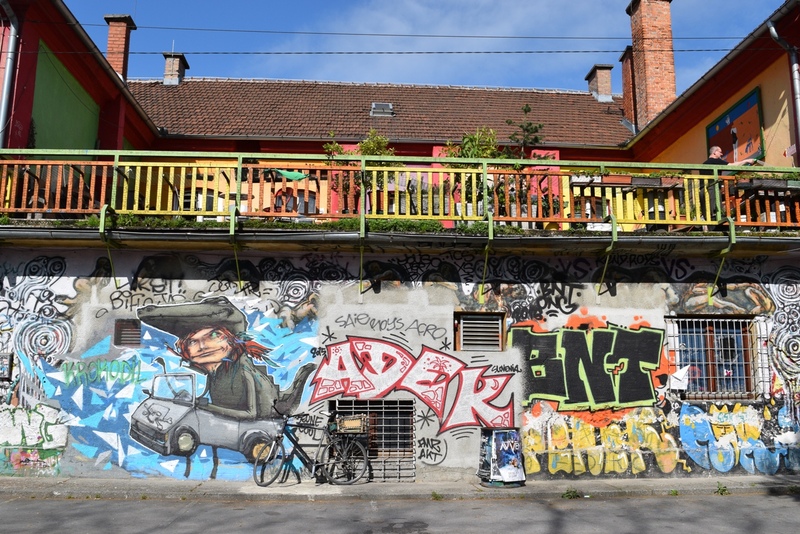 Colorful Metelkova City is a must for any art lover. Located on the site of former military barracks (the Slovenian headquarters of the Yugoslav National Army), it consists of seven buildings, each of them being something special. Go there twice – once during the day and once at night. While wandering around the city, you’ll most likely cross many bridges. After all, Ljubljana is the city of bridges. Make sure you have Dragon Bridge on your list. Designed by architect Jurij Zaninovic, the bridge was built after the great Ljubljana earthquake in 1895 and was opened in 1901. The myth goes that long time ago Greek hero Jason and his Argonaut comrades stole a golden fleece, the coat of a golden ram, from the King of Colchis on the Black Sea. On board the Argo they fled their pursuers and found themselves at the mouth of the River Danube instead of going south towards the Aegean Sea and their Greek homeland. There was no way back, so they went on, up the Danube and then along the River Ljubljanica. They had to stop at the source of the Ljubljanica and overwintered here. They then took the Argo apart and in the spring carried it on their shoulders to the Adriatic coast, where they put it back together again and went on their way. According to the legend, on their arrival between what is now Vrhnika and Ljubljana, the Argonauts came across a large lake with a marsh alongside. Here lived a terrible marsh dragon that Jason killed after a heroic struggle. 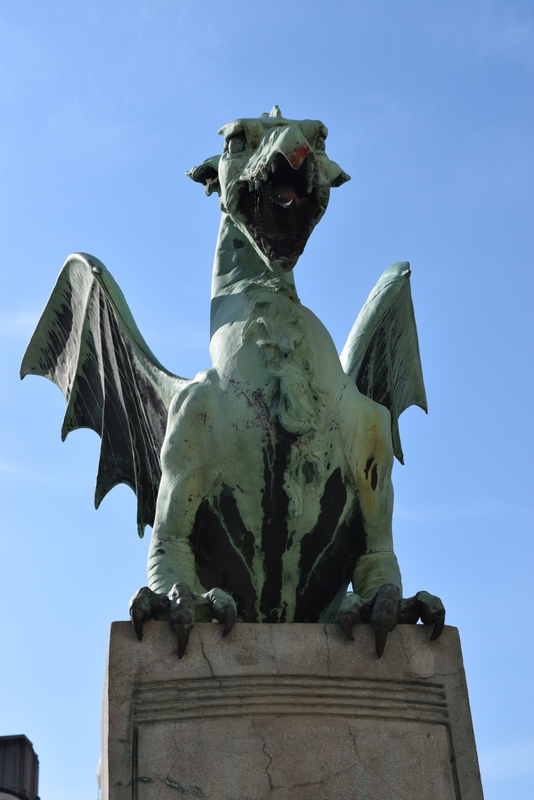 The monster would have been the Ljubljana dragon. It is said that Jason should have been the first real Ljubljana citizen. In the very city centre, right next to Prešeren Square, you’ll spot Triple Bridge – a group of three bridges, designed by Jože Plečnik. 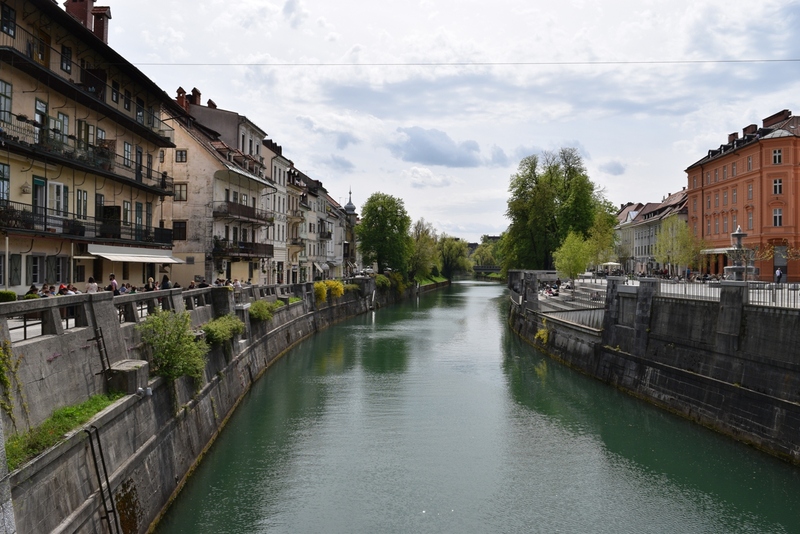 It connects the Ljubljana’s historical, medieval, town on one bank, and the modern city of Ljubljana, capital of Slovenia, on the other. Other beautiful bridges (you’ll see those even if you don’t specifically try to find them) are Butchers’ Bridge (that’s where you bring your love lock) and Cobblers’ Bridge. The most beautiful part of the city is the Old Town. Walk the streets without reason, take note of the six senses when indulging in local cuisine and go out of your way to seek the perfect view. Cobbled streets with trendy shops and cafe bars, make this part of the city perfect for a quick break. 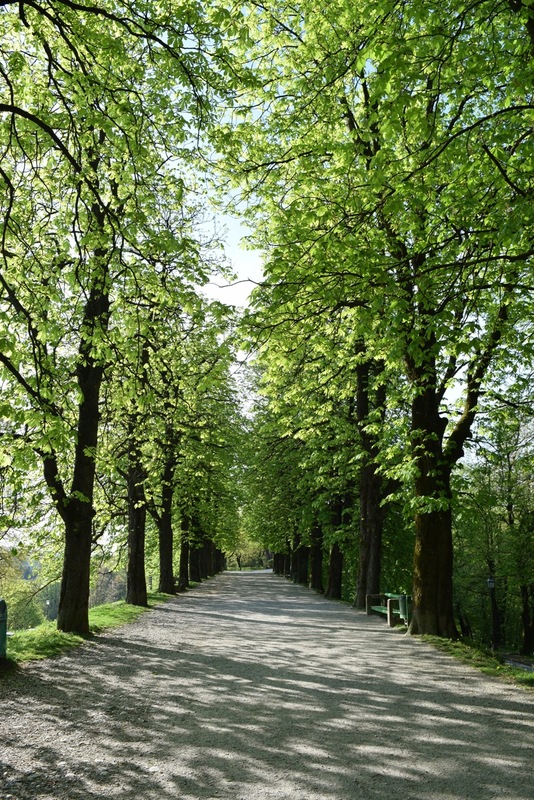 When it’s warm outside, go for a run or make a picnic at Tivoli Park. If you have too much energy, you can take it further and hike to Šmarna gora (Mount Saint Mary). Take bus 8 and exit at bus stop Šmartno. From there, follow the signs. After a 30 minute hike through the forest, you’ll get to the top, where you can find some traditional food and in clear conditions a wide view. Lastly, the best view. I always take couchsurfers to Nebotičnik Bar (Skyscraper), where you can sit in an open-air bar and soak in all the beauty Ljubljana has to offer. The view from the top is spectacular and beats the one from the tower, since you can also see the castle from here. Last year, when my German friend was visiting me and when we wanted to get some local food we discovered the nicest restaurant. It has a beautiful view of the city and castle, delicious food and the prices are decent for a place that’s right next to Ljubljanica river. It’s called Paninoteka. They publish daily menus on facebook. Price range: €7-€9. 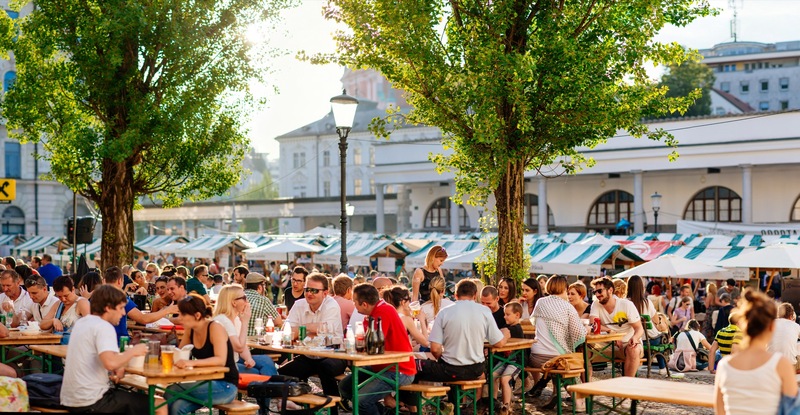 If you’re in the capital of Slovenia in spring, summer and fall, you must visit Odprta kuhna (Open Kitchen). Every Friday houndreds of locals and torists go to this buzzing open-air food market to grab something to eat. From Indian to Ethiopian food, at Pogačar Square there’s no way you can’t find a dish that wouldn’t suit your needs. Here’s the best variety of food in one place; even some of the city’s best established restaurant serve sample portion of their specialities. You’re also at the right place if you want to try the best burger in the whole wide world. Head to the stall of Hood Burger team. Their Brie Burger is to die for! Small tip: Pay additional euro for some crispy bacon if you want to enter real heaven. *If you’re coming in winter or Odprta kuhna is not set due to the bad weather. Parma is the oldest pizzeria in city still operating. It’s surprising how small, yet incredibly filling their pizzas are. Price range: €5-€7. If you are planning a romantic dinner out, consider visiting Strelec. Established in the castle’s Archer’s Tower, this gastronomic restaurant will impress you with beautifully crafted and technically accomplished dishes such as buckwheat croquettes stuffed with duck liver. Price range: €30 for a three-course lunch. 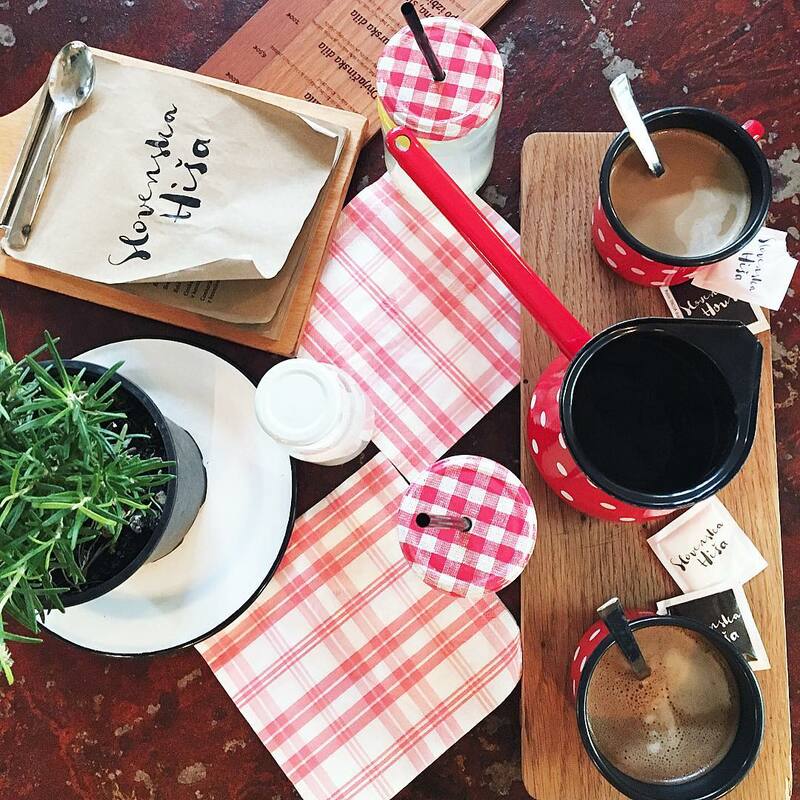 I like to go to Slovenska hiša to get my morning caffeine fix when it’s needed, however they also have amazing food. If you’re hungry and wish to taste something local, try the Kranjska sausage sandwich made with buckwheat bread, sauerkraut and mustard. 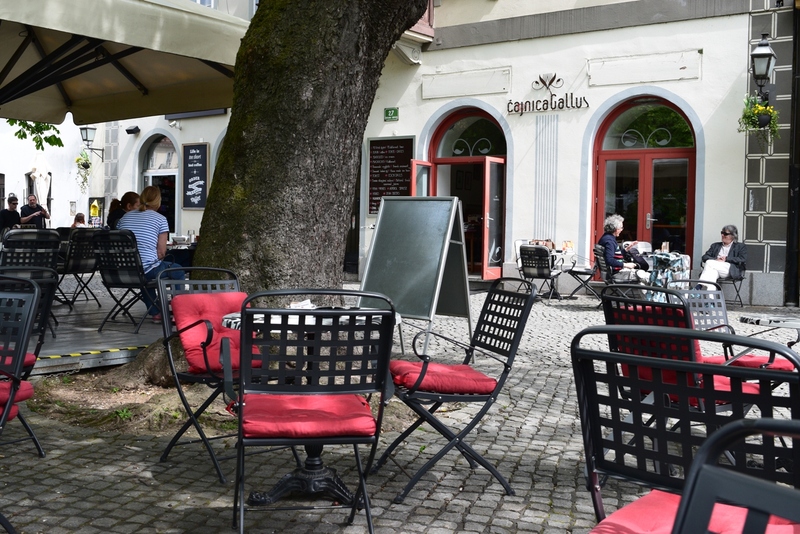 For drinks I recommend Cankarjeva kava (Carkar’s coffee), that is named after a great slovene writer of the 20th century, homemade lemonade if you want something refreshing, or lavender tea if you’re more of a tea drinker. The cosiest place on Earth. Here you get unlimited non-alcoholic drinks and snacks (cookies, crackers) for €0.5c per minute, or €3 per hour (€0.4c per minute/students). A daily ticket is capped at €7. The price includes general all-round use of the facilities, including the kitchen. What I truly like about this place is that you can sit anywhere and drink as much as you want. I’m a big tea drinker, so I keep refilling my cup all the time. Last time I was there, just around a week ago, they even offered us some ice cream (for free, of course)! It’s a perfect place to do some work, play board games with friends or meet some new faces since there are many events organized weekly. Pancake night, anyone? If you want to have a nice chat in a quiet enviroment, I suggest you pick this friendly, delightful tea room set in Old Town. They offer a wide range of cakes (including raw cakes) and a variety of drinks to choose from. The staff always goes out of their way to make you feel welcome and comfortable. Slovenian beer drinkers are divided in two groups: those who drink Laško and those who drink Union. While I’m more of a fan of the first one, I still have to admit this is one of the coolest places in Ljubljana for a drink out. And yes, the beer is fantastic. Occupying the cavernous former worker’s canteen of the Union brewery, this pub offers plenty of Slovenian beers for a very reasonable prices. Ask your waiter for some recommendations, they’re very helpful and knowledgeable. Metelkova (Metelkova ulica 10) is a place I would have recommended to anyone, because each person can find something for themselves there. Concert freaks and those who like to sing their lungs out must check Orto Bar (Grablovičeva ulica 1) and Kino Šiška (Trg prekomorskih brigad). The most sophisticated bars, however, are in Mestni Trg in the Old Town. The best way to find one, would be to just walk around and go in somewhere. I really don’t have any favorite ones here. If coctails are more of your thing, stop by Pr’ Skelet (Kongresni trg 3) and try their strongest one – Wiki Waki Woohoohoo. End your night by dancing in Top (Tomšičeva ulica 2), Cirkus (Trg mladinskih delovnih brigad 7) or Companeros (Slovenska cesta 51). 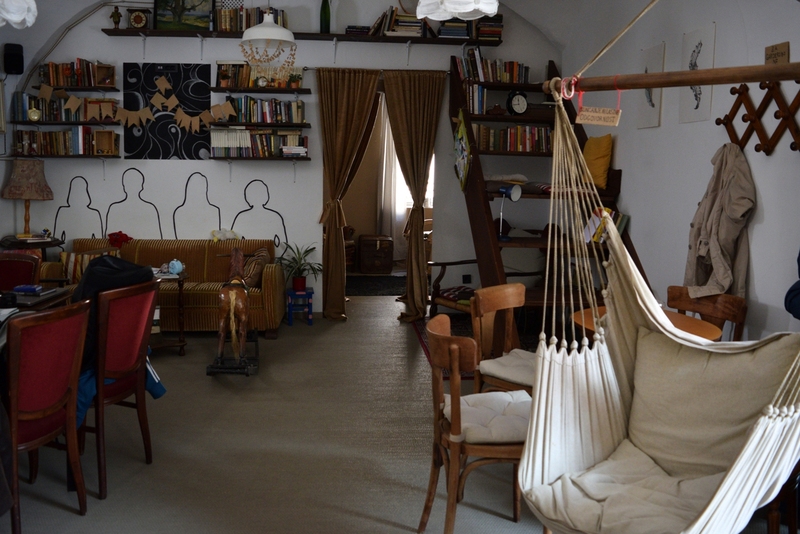 Hostel Celica (Metelkova ulica 8) is one of the funkiest hostel you can find. Once a military prison, this building now has its double cells booked weeks in advance. 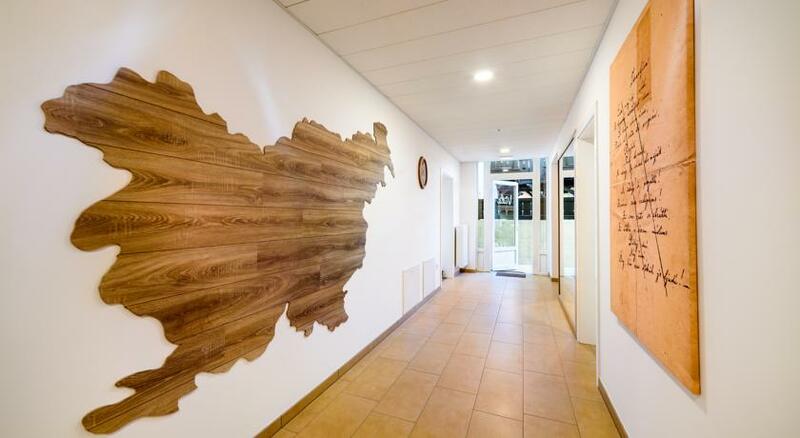 Over 80 architects from all over Europe were invited to decorate each of the 20 cells. Price: Around €23 (breakfast included) for a cell, dorm room or a private room. 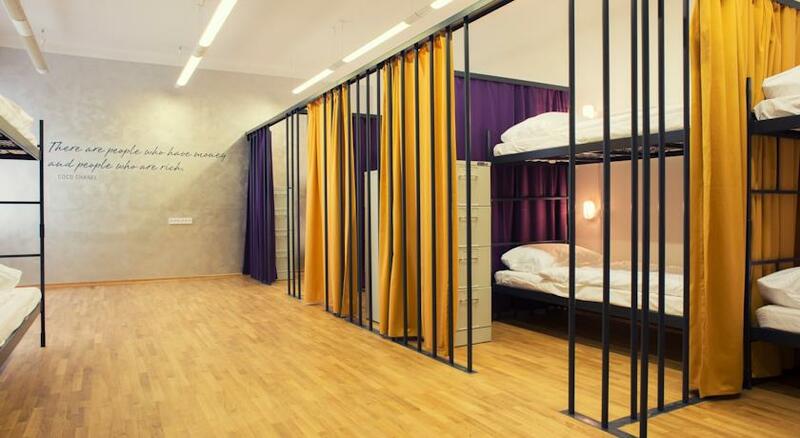 Tresor (Čopova ulica 38) is a very central hostel with unique design – former bank was transformed into urban getaway. Price: From €12 for a dorm room, €20 for a private room. Breakfast €3. Slovenian House Vida (Savlje 87) is a little out of the city center, yet still accessible by public transport. The facility at this pet friendly place is modern on a historic foundation, rooms are spacey and the staff very helpful. Breakfast is included. Doubles from €66. B&B Petra Varl Accommodation (Vodnikov trg 5A) is another popular B&B. Set at amazing location with all main tourist attractions are just few minutes of walking away. Doubles from €69. The four-star Grand Hotel Union (Miklošičeva cesta 1) is firmly geared towards business travellers. Facilities include indoor pool, sauna, gym, parking, shop. All you need. They’re also well-known for their impressive buffet breakfast. Doubles from €165. 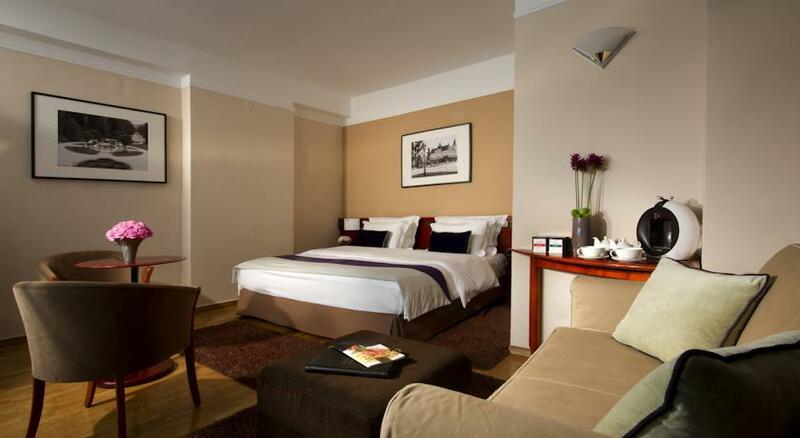 Best Western Premier Hotel Slon is situated in the very heart of Ljubljana city centre. Gym lovers will be happy to read the hotel’s Spa & Fitness Center is open 24/7 and providing all the latest cardiovascular and weight training facilities as well as relaxing saunas with tropical rain showers. There is also a generous choice of 9 different Thai massage treatments at Hotels Thai massage & Spa to unwind, relax and escape the daily stress. Doubles from €165. Some really nice flats can be found in the city for a good price, so I recommend you check airbnb too. If you’re a new user click here for my tips and $35 bonus towards your first booking. If you’re coming to Ljubljana by car, then I advise you to park somewhere outside the city and continue exploring the city on foot. Everything is centrally located, therefore you should have no problems getting around. Note Ljubljana’s Old Town is reserved for pedestrians only. If you do manage to find a parking spot close to the centre, it’s probably going to be in blue zone. This means you’re usually required to pay between 6am and 7pm (depends on the location) on every working day and on Saturdays till 1 pm, however on Sundays and holidays parking is free. The cost for the parking in blue zones at city centre is around €0.70 per hour, but you can only pay for 2 hours at a time. Outside the centre cost 0.40 € per hour and you can pay for up to 6 hours. If you don’t mind 10 minute stroll to Prešeren Square, choose Tivoli. Daytime tariff from 6am to 8pm is €0.60 for two initial hours, each additional hour costs €0.60. TIP: Tivoli car park is free during the weekends. Park and Drive is another option for you. There are three parking facilities located at the outskirts of the city, along the main arterial roads. They are classified as P + R (park and ride) parking facilities which means that users can leave their vehicles parked for the entire day, while the parking fee includes two rides with the LPP city bus line. The P+R parking fee is €1.20 per day. The payment can be carried out at an Urbanomat with the Urbana card. Urbana card users also get the credit for two rides on a city bus line, which expire at 11.59 pm on the same day as the parking fee was paid. The parking facility is open Monday to Friday from 12am to 12pm. More info on parking spots can be found here. Parking in Ljubljana is quite safe, be it on the street or in parking garages. The same rule applies as everywhere else – do not leave your valuables, bags etc. visible. Other ways of getting around include buses and cycling. The city is very bicycle-friendly and many locals like to use Bicikelj, the bike sharing system of Ljubljana. Learn more about the system here. You can only use buses if you have Urbana card. That’s a no-contact smart card, allowing quick and convenient cash-free payment for rides on Ljubljana city buses. Each ride costs €1.20. To be able to switch buses free of charge you must validate your card each time you switch bus – within 90 minutes from the first validation. The ride on a bus you entered by switching buses can be longer than the 90-minute period and/or can last until the terminal station of the bus route. The cards are available at Urbanomats (that’s a machine at many bus stops) 24 hours a day for €2 (that’s card alone, no credit on it). If you’re travlling with children, note children up to the age of six years use public transportation in Ljubljana free of charge. More locations where the card can be bought are listed here. If you’re flying to Slovenia, take a local bus. You can find a timetable and price list here. If you’re landing in Italy, Austria or Croatia, the easiest way to get to the city is by taking a shuttle bus. GoOpti is a Slovenian company I regulary use. See the map of transports they offer here. Use this link to pay 5€ off the regular price when booking your trip. I’ve been around Europe quite a lot and I was often disappointed in capital cities. I’ve been lucky I have lived in Slovenia’s capital for the last five years and during this time, I got to know almost every little corner of the city. Yet it never gets boring. 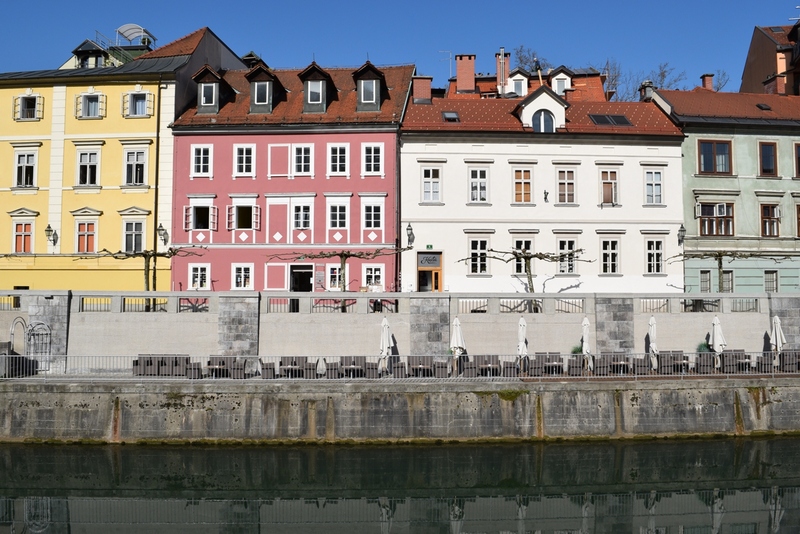 Ljubljana managed to do what many cities tried but failed – maintain its charm even when growing.